While the San Francisco Bay Area Real Estate market has begun its typical Fall (seasonal) sales cycle, you have probably been watching the news lately and wonder how the recent Federal government shutdown and impending debt ceiling deadline will affect the San Francisco Bay real estate market. shut down last Tuesday (Oct 1st) since Congress couldn’t agree on a spending bill in time, leaving the government without the legal authority to spend money. Economists say that every 3-4 days of this shut down will begin to shave decimal points off economic growth and a sustained shutdown of 3-4 weeks would do significant economic damage. If the shutdown drags on for 3-4 weeks, as it did in the 1995-6 shutdown, it could subtract 1.4 percentage points off of 4th quarter GDP growth. In an economy that’s already fragile, that’s a massive consequence to Congress’ budget impasse. That’s more than half of the 2.5% Avg quarterly rate of economic growth in the U.S. right now. The government shutdown will also negatively affect hiring by small businesses in the near future and consequences will be even worse if a deal on the federal debt isn’t reached. Although technically a separate issue, a major point of contention in Congress is the issue of the impending debt ceiling. The Federal government will run out of money around Oct. 17th. In addition to using tax revenues, the government will have to borrow more money to pay bills the nation has already racked up. But Congress will have to raise the debt ceiling/limit to allow the increased borrowing needed to pay these bills — and that permission won’t come without another fight from the congressional “Tea Party” Republicans. Many Economists feel that if the debt ceiling “isn’t” raised, the resulting loan defaults could cause the U.S. Economy to suffer even more than it already is under the current government shutdown. The financial markets might lose faith in the ability of the U.S. to pay its bills. As a result, the nation’s creditworthiness — and global influence — could take a beating and interest rates on credit cards, student loans, auto loans, and mortgage loans could rise. Then again, it could also result in “lower” interest rates as shaky/fearful investors put their money into safe places such as treasuries, high quality investments, and savings accounts. But the very fact that no one knows what to expect from hitting the debt ceiling is probably what makes it such a terrifying proposition at this point. And it’s why many economists want Washington to resolve the government shutdown right away so that it can also have time to get the debt ceiling issue out of the way before Oct 17th. Meanwhile, life goes on here in Silicon Valley and San Francisco Bay Area Real Estate is following its typical Summer-to-Fall transition pattern. Inventory dropped slightly for the 2nd straight month in September and home sales have leveled off as prices have undergone a modest seasonal dip. While there are still imbalances in the sales mix and purchase patterns, indications are that the market continues to normalize incrementally. The overall market condition remains positive for San Francisco Bay Area home sellers, despite inventory trending on the rise. Since August, sales volume has dropped 20-25% San Francisco Bay Area wide, which is typical for this time of year. The median price paid for a home in the San Francisco Bay Area in August was $540,000. That was down 3.9% from $562,000 in July, and up 31.7% from $410,000 in August/2012. Due to seasonal shifts in sales patterns, the San Francisco Bay Area median almost always declines from July to August and Sales Volume also typically drops 20-25% between Summer and Fall. Overall, the Federal Government shutdown shouldn’t have a major short term effect on the San Francisco Bay Area Housing market, despite the likely loss in some U.S. GDP growth. It’s hard to predict how the debt ceiling resolution will affect interest rates and the economy, especially since we don’t know what the resolution will be yet. However, it’s something to keep on eye on as it may have major long term implications on our economy and mortgage rates. In the mean time, San Francisco Bay Area Home sales volume should be light the remainder of 2013, inventory should continue to drop a bit further, and home values should be stable, holding the ~30% gain that it has seen between January and August. As the hottest buying season of the year winds down for the San Francisco Bay Area, home prices continue to climb while inventory also continues to rise and interest rates have stabilized. The median price paid for a San Francisco Bay Area home rose at its fastest pace on record in June, the result of disappearing distress sales, an improving economy, and mortgage rates that, while up off bottom, remain very low. The median price paid for a home in the 9-County San Francisco Bay Area was $555,000 in June, the highest since it was $587,500 in December 2007. June’s median was up 6.9% from $519,000 in May, and up 33.1% from $417,000 in June 2012. The San Francisco Bay Area median peaked at $665,000 in June and July 2007, then dropped to $290,000 in March 2009. Much of the median’s ups and downs can be attributed to shifts in the types of homes sold. When adjusting for these shifts, it appears that the majority of June’s 33.1% year-over-year rise reflects an increase in home values, while the rest is the result of a change in market mix. Another big part of the picture is that distress sales (Foreclosures and Short Sales) are quickly becoming a thing of the past. Foreclosure resales accounted for just 6% of resales in June, down from a revised 6.5% in May, and down from 17.8% a year ago. June’s 6% level was the lowest since 4.4% in August 2007. Foreclosure resales peaked at 52% percent in February 2009. The monthly average for foreclosure resales over the past 17 years is about 10%. Short Sales also continue to decline. 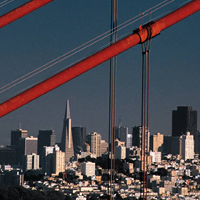 Short sales made up an estimated 12.1% of San Francisco Bay Area resales in June. That was down from an estimated 13% in May and down sharply from 22.7% a year earlier. Tracking San Francisco Bay Area residential real estate inventory levels, San Francisco inventory rose 5.6% in July (over June), Peninsula inventory rose just 1.6%, Upper South Bay inventory actually went “down” slightly, and San Jose inventory rose 10.6%. Overall, San Francisco has seen a cumulative 72.7% rise in inventory since the beginning of the year, the Peninsula a cumulative 60.6% rise, and San Jose a cumulative 170.6% rise. It’s generally easier for a market to regain lost ground than to push into new territory. It appears that we’re still bouncing off the bottom. This next part of the cycle should be fairly self-adjusting. As prices go up, more homes will be coming on the market and price pressures should ease. The only element we don’t know much about right now is how much pent-up demand there really is out there. Mortgage rates inched down this week after the latest monthly employment report disappointed investors. The recent upswing in rates (which occurred mostly between May and July) has affected home affordability, but demand remains high and the more recent positive trend for interest rates should help to fuel continued demand. However, overall current trends indicate that it’s only a matter of time before the market turns and prices level off. With the housing market on its way to prosperity again, consumers are contemplating whether it’s more beneficial to buy a property now or continue renting. To assist with this decision, C.A.R. 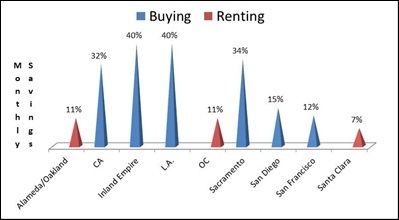 (California Association of Realtors) has looked at the costs and benefits of renting versus owning property in California and 8 of its local regions over a 7-year period. The costs of buying include the monthly mortgage payment, insurance, taxes, and improvements and repairs. These costs were offset by the benefits of buying: mortgage interest and property tax deductions, and investment appreciation. The costs of renting include the monthly rent payment and renter insurance, which were offset by the benefits of renting: the appreciation on investing the down payment in the stock market. For the State of California as a whole, statistics show that consumers can save 32% per month by buying a property. Home buyers in Sacramento will save 34% monthly and 12% in San Francisco. However, buying is not the best solution everywhere. You are better off renting in Alameda and Santa Clara Counties, with monthly rent savings ranging from 711%. 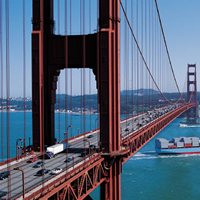 Is the San Francisco Bay Area Real Estate Market Starting to Turn? 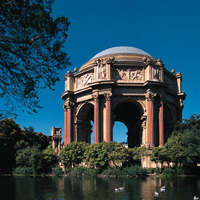 2013 has been the hottest in San Francisco Bay Area real estate since 2006. Inventory bottomed out going into the year and interest rates fell to historically low levels. Record low interest rates and high rents relative to home prices helped to spark the biggest demand for Bay Area real estate since 2006 and home prices have soared to at or beyond 2006 levels for many parts of the Bay Area. Meanwhile, inventory has gradually been increasing every month since the beginning of the year. This is largely due to a surge of property owners becoming eager to take advantage of the hot seller’s market. Since the beginning of this year, South Bay(including San Jose and the upper South Bay) residential real estate inventory has increased a whopping 160%, Peninsula inventory has increased by 59%, and San Francisco inventory has increased by 60%. The biggest increase in inventory came this past month when San Jose alone saw a 25% month-over-month increase in inventory. Rising inventory and the recent spike in mortgage interest rates (which have risen by more than 1% since the beginning of May) is spurring more owners to sell before their “window of opportunity” closes. A recent article in the San Jose Mercury news made the public wise to these most recent Bay Area Real Estate market trends. That article talked about how soaring home prices could potentially stoke fears that another housing bubble is forming in the Bay Area. Not many housing experts are convinced of this severe of a notion, but some (including myself) are saying that there are at least “warning signs”. The 3 main things that have sparked the recent run-up (Ultra-Low interest Rates, Ultra-Low Supply, and Ultra-High Investor Buyer levels) are all turning the other way. Interest rates have been going up, Inventory has been going up, and Investor Buyer activity has been going down. However, Silicon Valley home prices are only about 3% above their “fundamental value” determined by incomes, rents and long-term trends, compared with 59% above the value during the 2005 bubble. In the San Francisco metro area, including San Mateo and Marin counties, prices are just 2% above, compared with 52% in 2005. In the East Bay, home prices are even with fundamental values, compared with 73% above them in 2005. At $564,250, the median sales price of an existing single-family Bay Area home in May was 23% below its 2007 peak of $738,500 just before the crash. The median price paid for a home in the entire 9-County Bay Area was $519,000 in May, up 29.8% from $400,000 in May 2012. That was the highest median since March 2008, when it was $536,000. The 9-County Bay Area median peaked at $665,000 in June and July 2007, then dropped as low as $290,000 in March 2009 – a decline of 56.4%. In May the median was still 22% below the peak but it had made up about 61% of its peak-to-trough loss. San Francisco, the Peninsula and the South Bay have regained most of their “post-bubble losses”, while Contra Costa and Alameda counties have a long way to go. The more optimistic experts feel that the market is still looking good and will continue to appreciate for the next couple of years. They point out that investors are still out there and there’s a big difference between today and 2006. Back then, the prices were artificially inflated by a surge of sub-prime borrowers who purchased home with little to “no” money down. With the current market surge, there are almost “No” Zero-Down purchases and there are many cash sales. If someone pays cash for their house or applies a large downpayment (which many have been doing the past couple of years), if/when the market goes down 10%, they won’t feel the need to sell. Realistically, if current trends continue over the next few months, there is sure to be downward pressure on Bay Area Real Estate prices and a general “turning of the market” towards a “normal” market (from the current Seller’s market). This doesn’t necessarily mean that we’re in the midst of a “bubble”, but there should at least be a cooling down period as Bay Area Home Buyers adjust to the higher interest rates and expanded buying options. A TIC (Tenancy In Common) property is one where two or more people co-own a single piece of real estate without a “right of survivorship”. This type of co-ownership allows each co-owner to sell his/her ownership interest or to pass on his/her ownership interest upon death. The broader terms “fractional ownership”, “shared ownership, and “co-ownership” encompass all arrangements involving two or more owners, including tenancy in common and joint tenancy. There are several categories and subcategories for different types of shared ownership arrangements. My focus with this article is specifically in regards to “space-assignment co-ownerships” (or “SACOs”) which assign particular houses, apartments, rooms, offices, stores, or storage spaces to each owner. SACOS’s are most commonly formed to co-own multi-unit residential property, where each co-owner has the exclusive usage right to use or derive income from a particular apartment. What is the difference between a tenancy in common and a condominium? How do you finance a TIC unit? 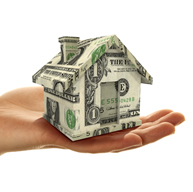 Not all banks will finance a TIC and those who do typically insist on adjustable rate mortgages (ARMs). Otherwise, you can expect to pay ~ 2% higher interest rate than you would for an equivalent Condo unit. As of last month, the Bank of Marin resumed offering fractional mortgages to participants in San Francisco’s TIC housing market. What is the value of a typical TIC vs a Condo unit? Because of the cumbersome ownership structure and loan restrictions, TICs cost 10-20% less than a comparable condo. What is the process of converting a TIC unit to Condo unit? The TIC-Condo conversion lottery gives up to 200 units the opportunity to convert each year. The lottery selects 200 units, not 200 buildings. The lottery system is designed to favor buildings that have previously lost. For a building to qualify to enter San Francisco’s condo conversion lottery, at least one unit must have been owner-occupied for the 3 immediately preceding years. The number of units that must be owner-occupied increases to three for 5-6 unit buildings. Each qualifying owner-occupant need only be an owner at the time the building enters the lottery; he/she could have been a rental tenant in the building for the previous three years. The three-year occupancy requirements are extended to 10 years for any building from which two or more tenants (regardless of age or disability) were evicted from separate units for any reason unrelated to the tenants’ behavior after May 1, 2005. Two unit buildings with a clean eviction history do NOT need to go through the conversion lottery (to convert from TIC to Condo) if both units are occupied for one year by separate (unmarried) individuals who each own at least a 25% interest in the property during the entire occupancy period. This exemption from the lottery is also applicable to mixed use buildings having no more than two residential units, both of which are owner occupied. Once approved, how long does the conversion process take to complete? During 2012, the median length of a 2-4 unit conversion has been 5 months from application submittal. What is the latest news regarding TIC’s? In February(2013), the SF Board of Supervisors Land Use and Economic Development Committee had been expected to vote on a one-time fix for tenancy-in-common homeowners who want to convert their units to condos, but ended up putting off consideration of the measure until March. Aides to Supervisor Mark Farrell, the lead sponsor of the measure, wanted more time to talk to tenants’ rights groups about the proposal, which they oppose. After months of negotiations, a compromise was put in the works in April to resolve the controversy over San Francisco’s Tenants-in-Common (TIC) units. The new deal sticks to the original proposal to allow about 2,000 TICs to bypass the yearly conversion lottery and convert directly into condos. But it also adds a number of elements designed to protect the city’s rental stock. The two most significant are offsetting the units lost through conversion by halting the lottery for a minimum of 10 years and preventing buildings with more than four units from converting in the future. The amended TIC resolution still has not passed city legislation and talks continue.